The City of Phoenix will look into the design of the South Central extension of the light rail system following a city council meeting Wednesday. The 5.5-mile extension, which is still in the design phase, would connect the light rail system from downtown Phoenix to Baseline Road along Central Avenue. However, not all are happy with the project. Several people spoke out Tuesday at a Phoenix City Council meeting both supporting and opposing the extension. 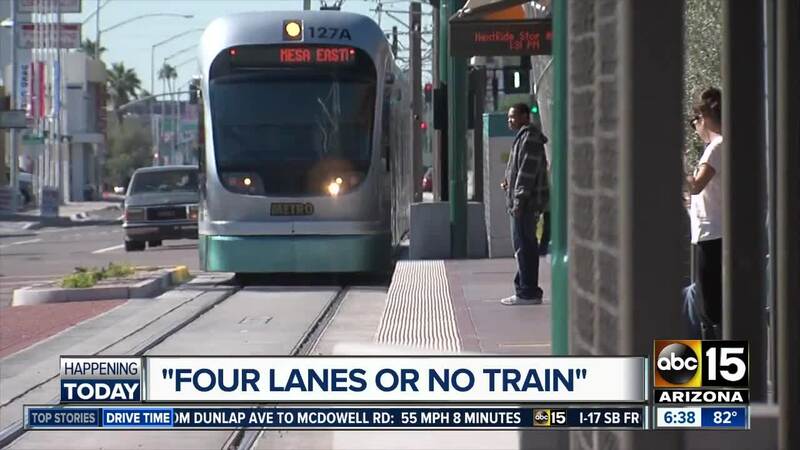 Some say the light rail extension, which was approved by city voters, would hurt businesses along Central Avenue and cause major traffic congestion since construction would reduce the roadway from four to two lanes. The city voted 6-2 Wednesday in favor of Councilman Michael Nowakowski's motion to initiate a study to look at the feasibility of the extension with four lanes of traffic. rather than two. Those who support the light rail extension say this would help connect the south side of Phoenix to the rest of the city, creating economic drive and allowing those who live in south Phoenix to have greater access to the rest of the city. "The Valley Metro team is working diligently with contractors, engineers and others on a project that has been planned, with community input, for nearly 20 years. The light rail extension has gone before Phoenix voters and approved multiple times. Most recently, in 2015, the South Central Extension was overwhelmingly approved by 75 percent of voters living along the corridor. Less than two months ago, in April 2018, the Phoenix City Council once again formally voted to move the project forward. There’s a need to provide additional public transit services to South Phoenix to provide families with convenient access to key destinations such as work and school." Phoenix City Councilman Sal DiCiccio has been a vocal critic of the project, and posted dozens of tweets to social media on Tuesday, attacking City staff and Valley Metro, claiming they failed to address the needs of the South Phoenix community. I've lost track of how many people at this meeting have told the council that they were never notified about public meetings or the plan to narrow Central Ave until just a few months ago-- total failure by Valley Metro and city staff! 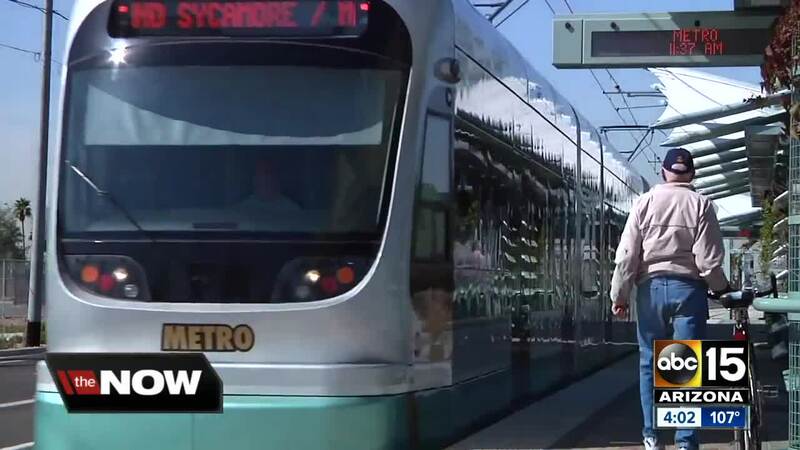 DiCiccio has long been an opponent to the $700-million transportation project, recently calling light rail a “taxpayer-subsidized money pit.” He also claims voters were misled when the passed Proposition 104 in 2005, which approved funding for the project. DiCiccio claims critical information was kept from the South Phoenix community throughout the process. But in a report dated April 2014, transportation planners make reference to the potential need to reduce Central Avenue to one lane in each direction due to right-of-way issues.